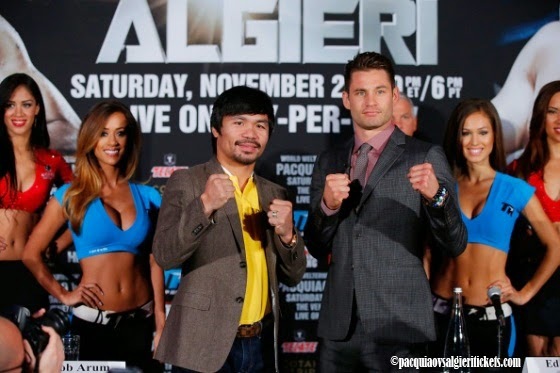 Despite many had been voicing out that Manny Pacquiao will have an easy win against Chris Algieri on their fight in Macau on November 23, 2014, Hall of Famer referee Joe Cortez had a very different opinion. In his radio interview with ontheropesboxing.com’ Robert Brown, Cortez confidently voiced out that Algieri will win the fight by a decision. Cortez believed that the upcoming fight for Pacquiao will prove to be difficult. He even said that he thinks the Filipino boxing icon will not be able to pass through his opponent come November 23. He then enumerated the advantages of Algieri, namely his height of 5’10”, his boxing skills and his long jab. He might be able to keep Pacquiao from a distance that will give Pacman a real challenge. Algieri might not have the hardest punch as Cortez added. He said that Algieri proved in his fight against Provodnikov that he can be difficult to hit and will be able to move around a lot while giving different combinations. He will be able to win with a decision. When asked if he still hopes for a Mayweather versus Pacqiao fight, Cortez said that it is still possible for 2015 though Pacquiao should first take care of Algieri. He even opined that if Pacquiao loses the fight in Macau, then the possibility for a fight against Mayweather will be slimmer. He even shared that Pacquiao is already slipping much in his game.